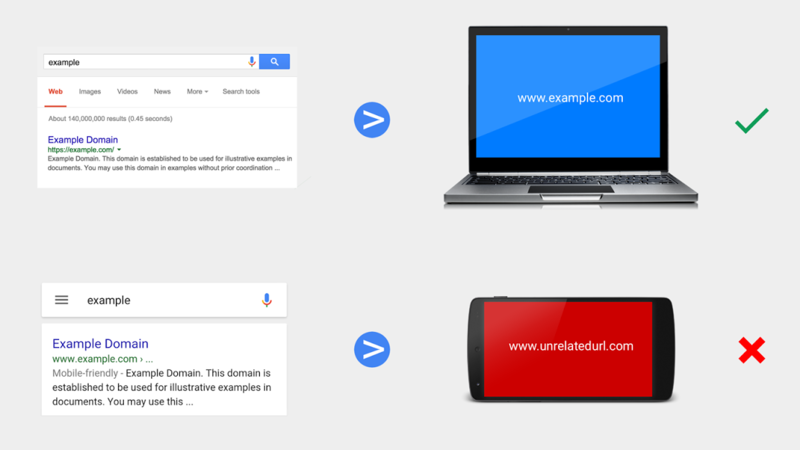 Google announced on the webmaster blog that they will now penalize, through manual actions, sneaky and unwanted mobile based redirects. Truth is, Google has always taken action on sneaky, fraudulent and unwanted redirects, but Google is now making it clear - they will do the same on the mobile front. Why are they making it clear on mobile? Well, Google does allow you to do redirects to slightly different content on mobile. So if you have a desktop page with a lot of content and navigation, Google is often cool with you dumbing it down for mobile users - as long as the page is similar enough. But if you send someone to an irrelevant site, then you are now in trouble, Google says. Optimizing the smaller space of a smartphone screen can mean that some content, like images, will have to be modified. Or you might want to store your website’s menu in a navigation drawer (find documentation here) to make mobile browsing easier and more effective. When implemented properly, these user-centric modifications can be understood very well by Google. I spotted this last night on Johannes Mehlem Google+ post, but now the English version is up.